The dashboard of the Honda Accord features a variety of helpful indicator lights to aid in the operation and maintenance of the vehicle. In this Honda Accord dashboard light guide, well help drivers from across the Newport Beach, Fountain Valley, and Costa Mesa area learn more about these informative dashboard lights. 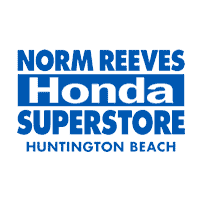 If you don’t happen to see the particular dashboard light that you’re looking for, contact our service department at the Norm Reeves Honda Huntington Beach. Also, it’s important to keep in mind that while most dashboard lights remain unchanged, different model years could have different indicator lights. In this guide, well focus on the dashboard lights of a 2018 Honda Accord. When the engine is started, its typical for many of the Honda Accord dashboard lights to illuminate momentarily as part of a routine test. However, if any of those indicator lights remain lit or turn on while you’re driving, then this could be a sign of a potentially serious problem. To help you determine what the indicator light is signaling, they have been organized into four color groups. Red and amber dashboard lights are typically used to indicate a malfunction or other problem. Meanwhile, green and blue indicators are usually used for displaying general information. Charging System (red): This dashboard light looks like a car battery, with both positive and negative symbols. It indicates that battery isn’t charging properly. You should turn off all electrical items, such as the radio and air conditioner, but don’t turn off the vehicle, as that could lead to further discharge. Have your Honda Accord serviced by an authorized technician right away. Supplemental Restraint System (red): If you see a light that looks like a seated passenger wearing a seatbelt with a large circle in their lap, then there could be an issue with the airbag system or the seatbelt tensioners. Have your vehicle inspected as soon as possible. Smart Entry System (amber): Depicted by a key with an overlapping exclamation mark and sensor bars above it, this indicator light signals a problem with your vehicles smart entry system. You should have your vehicle inspected at an authorized Honda dealership. Parking Sensor System (amber): A large P next to a traffic cone with sensor bars extending between them indicates that the vehicle’s parking sensor system has detected a problem. Either the system has malfunctioned or one or more sensors are blocked. If nothing is blocking the sensors, a certified Honda technician should inspect the system. ECON Mode (green): This indicator looks like a small, leafy plant. It signals that the driver has activated the vehicles ECON mode, which adjusts performance systems to improve fuel efficiency. Auto High-Beam System (green): A picture of a headlight with the letter A and a series of horizontal lines is used to indicate that the auto high-beam system has been activated. This system monitors ambient light to automatically switch between the high and low beams. High Beams (blue): Just about every driver knows this indicator light, but new drivers may wonder what this blue headlight means. When illuminated, this light signals that the high beams are engaged. Remember to disengage your high beams when there’s another vehicle in front of you. Don’t See the Honda Accord Dashboard Light That You’re Looking For? If a strange light appears on your dashboard, drivers in the Fountain Valley, Costa Mesa, and Newport Beach area should contact our service department at the NNorm Reeves Honda Huntington Beach or schedule a service appointment to have the vehicle inspected.